I finally got around to adding an EndWar audio page to my website, which collects some of the more salient information regarding my work on this game for the better part of the past four years. Check it out, if you care. I also added some of the more insightful press blurbs pertaining to EndWar audio that I could find (omitting the mean ones) on my press page. Generally, folks seem to be pleased with the audio (if they notice it at all). 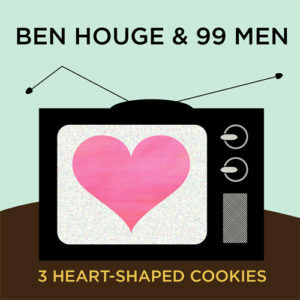 Also, Ubisoft has launched a contest, inviting everyone to create user videos for the “EndWar” song I wrote and performed in collaboration with 99 Men (obligatory 3 Heart-Shaped Cookies plug), which means now anyone can download and enjoy this lusty refrain. Hurry, you have until February 17 to submit your entry! And let me add a preemptive disclaimer about the following video, now making the rounds on YouTube in conjunction with the aforementioned contest. This performance was absolutely not intended for public consumption. It was a last minute stab at cheap entertainment for a team party. I came straight from working at my desk, and I didn’t rehearse a lick, which explains the ill-timed invitations to clap or sing along, as well as the ill-advised air guitar. Also, Mike (of 99 Men) transposed the song down from e minor to d minor, which rendered the bridge too low for falsetto and too high for full voice (Mike sings the bridge on the recording). That said, the Shanghai skyline backdrop is kinda cool. I just uploaded my new EP (I guess it’s my first real album) to a bunch of sites for digital distribution. It will take a few weeks, I guess, to percolate through the system, but theoretically you should soon be able to download it on iTunes, Napster, Rhapsody, eMusic, and Amazon. Drop me a line if you wish to be notified when this happens. I hope to follow it up with a physical release in the coming weeks. I just spent a long time setting up this special webpage for the album, so I won’t duplicate all the info here. It’s actually a collection of 3 older tunes I did with my pal Mike Caviezel (mastermind behind the band 99 Men) back in Seattle. I teamed up again with Mike to produce a song that plays over the end credits in EndWar, so it seemed a good time to get these prior collaborations out in the open. And though it certainly wasn’t the most important thing going on in the world yesterday, Tom Clancy’s EndWar, my life for the past 3.5 years, was finally released (release date chosen by the French). Go buy it!